King David has taken part in European part of one of the most prestigious annual real estate competitions – International Property Awards. The submitted projects were assessed by distinguished experts of the world’s real estate field. 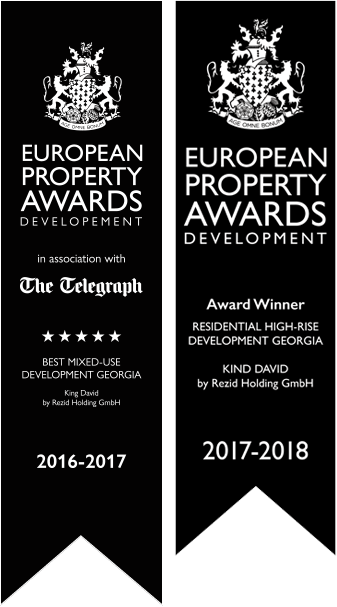 These experts have conferred a 5-star classification to King David and transmitted European Property Award in the nomination of Best Mixed-use Development Georgia. This signifies Kind David was recognized as the best multi-functional complex in Georgia. For more information and arranging the private tour, please contact us at your convenience.